Cassini’s last orbit is happening today, when it will dive into Saturn’s atmosphere (to become a shooting star for any locals who might be on hand). It’s going to keep its cameras going for as long as possible. NASA TV has “live” coverage starting at 7AM EDT. “Live” meaning as it comes in. Not as it actually happens, seeing that the time-lag for radio signals from Saturn is currently about 83 minutes. But “live” as in: you can’t get the news any faster than this. 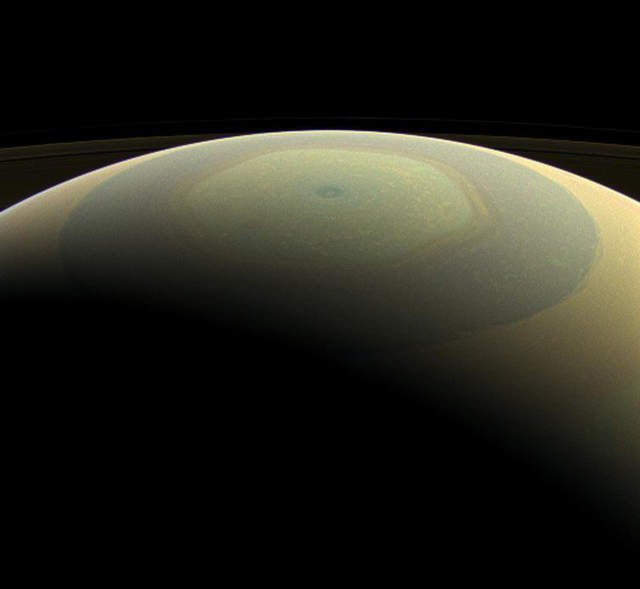 And here’s an especially glorious collection of 100 Cassini images, selected by the New York Times. Our faithful robot pals… out there exploring for us. Next best thing to being there.